Hello! Do you solve the problem of the Chinese system alarm window? The pop-up window of the virus was found to be blank and nothing was displayed. The path and name are not displayed. It is reasonable to display yes or no to the quarantine area to see if the file is restored. However, it does not, I hope to fix this problem in the next version Thank you! I am not sure what you mean by "Chinese system alarm window." That is rather disconcerting if a quarantine response happened then no data is displayed in the Quarantine File History window. What if it was a genuine False Positive and the user wanted to restore that file, yikes! With the issue I'm having with CleanMem, that we've previously discussed, the Blocked Process History window remains void of data too. There should be a plethora of entries for that! In fact the only data being currently displayed is the daily flash scan I have scheduled in the Scan History window so I certainly also hope this bug gets resolved adequately. I understand what you're saying Wookiee. 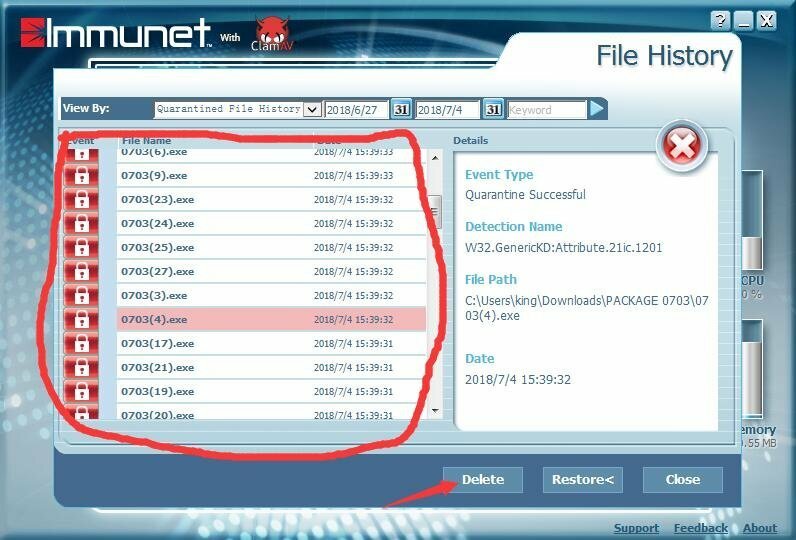 Under normal circumstances you do get a malware detection name & correct file path with the Quarantine window but according to kaba116's thread there was no pertinent quarantine data to view, no detection name or associated file path was displayed, even though a quarantine response took place. That's if I'm comprehending his thread correctly. Is that correct kaba116? A file was quarantined but no data was created to view in the Quarantine window? If that's the case I wish I could confirm that myself but since upgrading to 6.2 I haven't had any files quarantined thus far. Wait, I've got an idea. One way to find out is to download a EICAR dummy malware test string or two and see what happens. Out of curiosity I think I'll give that a try. I tried four different test strings all of which were immediately detected & successfully quarantined and all the data was displayed in the Quarantine window but no notification with the UI. So this leads me to believe that kaba116 may have thought he had a quarantine response when none actually took place or it's a completely isolated anomalous incident if my first assumption is true. There is also a hint whether to view the files in the isolation zone, but the simplified Chinese system is blank.... Thank you for repairing it. 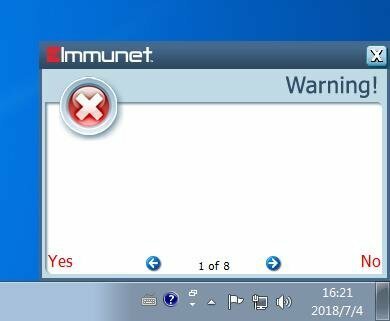 I love Immunet's anti-virus software!